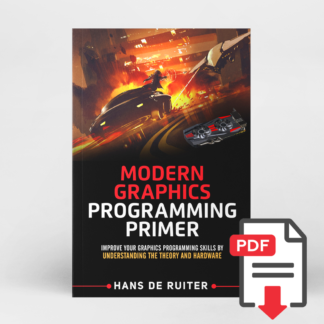 Improve your graphics programming skills by understanding the theory and hardware. E-book available via instant download (in PDF format). There are plenty of tutorials out there that teach how to program graphics cards to generate imagery. However, simply following tutorials alone will only get you so far. 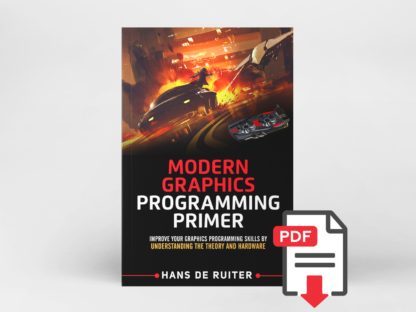 Understanding how a Graphics Processing Unit (GPU) works and the theory they’re built on will make you a more effective graphics programmer. Think about it for a moment, if you understood how a machine works, what it can do and why, would you be better at using that machine? Absolutely! This e-book will give you this extra knowledge. Once you understand how the GPU works you’ll be able to think creatively instead of blindly following tutorials. You’ll think of better ways to achieve the results you want, and possibly even come up with new techniques. This e-book comes with a companion “Getting Started with OpenGL ES 3+ Programming” tutorial series. The tutorials cover the practical “how-to” side; taking you from zero to rendering a basic 3D scene with lighting. Check out the tutorials for free (link). 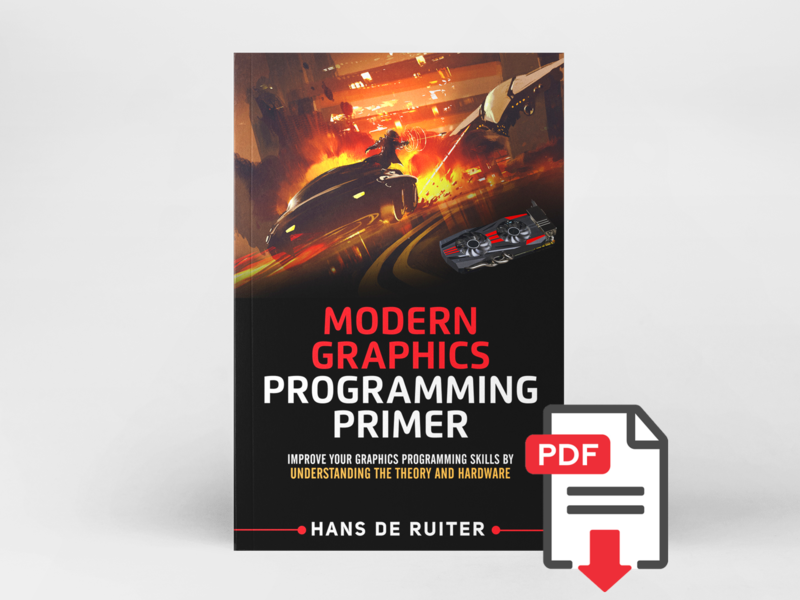 He’s written both graphics software and graphics drivers, giving him a broad understanding of how modern graphics cards work.